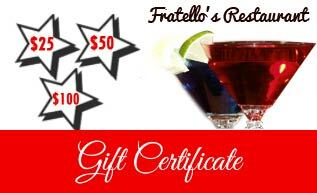 Italian Restaurant & Bar | Manasquan, Spring Lake, Brielle, Wall Twp. 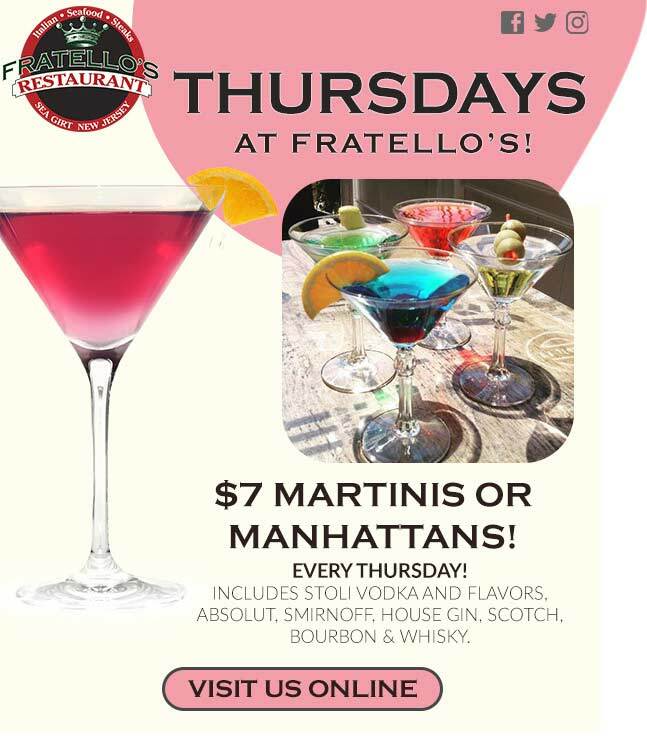 Fratello's is an Italian restaurant serving the best stakes and seafood in Manasquan, Wall, Spring Lake, Brielle and the sounding areas of the Jersey Shore. Whether you're part of a large group looking for a wonderful place to enjoy an evening of outstanding dining or anticipating an intimate dinner for two, Fratello's Restaurant is the ideal choice. 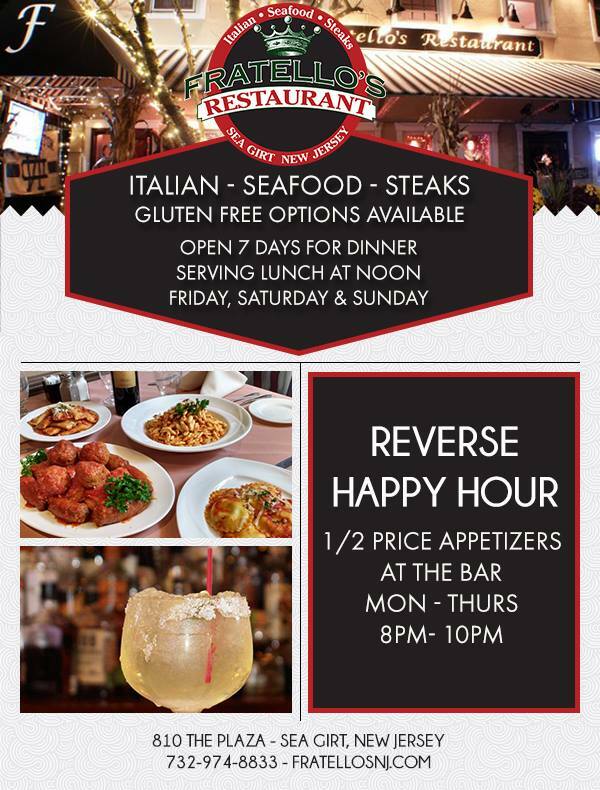 We invite you to relax and enjoy a cocktail from our full-service bar or sip a delicious glass of wine from the extensive wine list while choosing from an array of innovative Italian dishes. 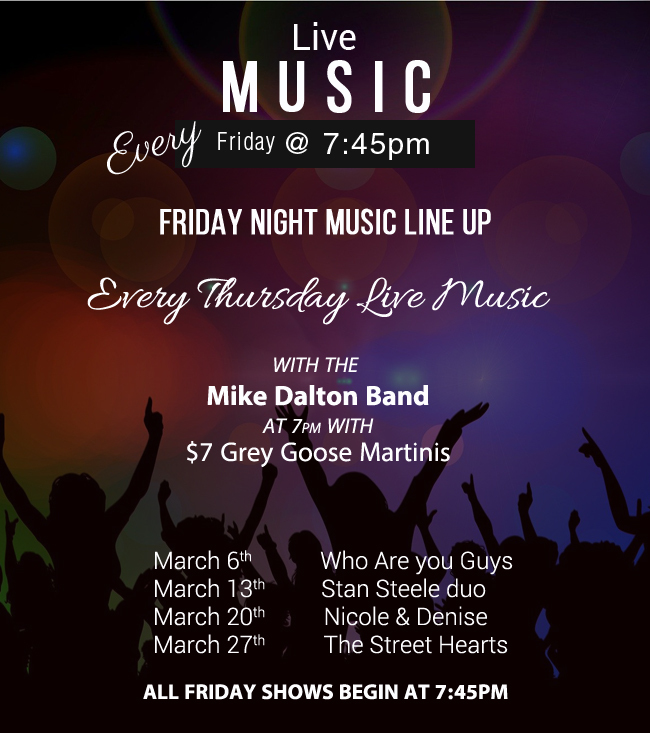 The Biggest Martinis In Town! Once you click "Buy Now" a new secure window (SSL) affiliated with PayPal will open where you will complete the purchase. Take Out Orders are accepted during the "Kitchen Hours" but on some Friday and Saturday nights between 6:30pm and 9pm we may not accept take out orders if the restaurant and outside patio is too busy. We are sorry for the inconvenience this may cause you.